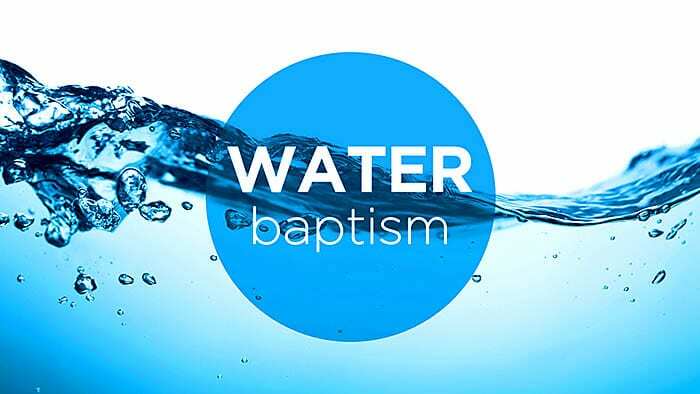 What is the Importance of Water Baptism? Nothing, if we read those parts of the Bible that are written TO US as Christians. Never in the Church Epistles are Christians told to baptize anyone in water. In fact, Paul said that the Lord Jesus did not send him to baptize (1 Cor. 1:17). Why? Because water baptism was a part of the Mosaic Law for Israel (Heb. 9:10), and that “shadow of the good things to come” (Heb. 10:1) has been replaced by something far greater: an internal cleansing made possible by the death and resurrection of Jesus Christ (1 Pet. 3:21). Do you know what the word “baptize” means? First of all, it has absolutely nothing to do with water. It is a verb that simply means, “to immerse, to dip, to dunk.” Now you need a noun to dip into, and that substance could be water, but it could also be motor oil or lemonade. When most Christians see the word “baptize,” they think water, but that is only because of how they have been taught. If there is no command from the Lord Jesus to baptize anyone in water, why do most churches today do it? For the same reason that many of the early Christians did so—they do not understand the greater revelation in Paul’s epistles (which he got from the Lord Jesus—Gal. 1:11 and 12) about the Body of Christ and the internal cleansing that has come to each Christian via the New Birth, also called “the baptism of holy spirit” (1 Cor. 12:13). Christians today who contend that water baptism is still relevant are, sad to say, arguing for a lesser possibility. Why go back to a “shadow” when we can have the Real Person, and all that he gives us?